Rapha-Condor-Sharp rider Chris Newton has taken victory in the opening stage of the Tour Doon Hame, outsprinting fellow escapees Evan Oliphant (Endura Racing) and Wouter de Groot (Global Racing Team). The flat stage around the Dumfriesshire countryside looked set for a bunch sprint finish before the trio clipped off the front late on and staved off the peloton’s chase. Despite only returning to the country at the beginning of the week after racing the World Track Championships in Copenhagen, Newton has evidently found his road legs quickly. “Obviously I’ve got a lot of speed in there. Today was quite fast, which was good for me,” he said. “We got the gap with Evan easily and I was putting the most work in because I was determined I was going to win the stage. “It worked out quite well – if we’d messed around much longer, we’d have been caught. I was committed, and just used my sprint to gap them straight away and held on to the finish,” Newton continued. Newton’s win – a full 14 years after he took the opening day’s stage in the Girvan, the Tour Doon Hame’s long-standing predecessor – came after a fast and cagey 75-mile opening stage, in which few breakaway efforts were allowed breathing space. Instead, intermediate sprints were hotly contested. With each one offering three seconds to the winner, they could be crucial in deciding the overall winner. By the end of the day, Kristian House had moved into fourth overall and replaced his national champion’s jersey with that of hot spot sprints leader, fighting off a challenge from Ian Wilkinson and James Stewart. A crash eighteen miles in took CyclePremier.com-Metaltek rider James Millard out of the running. Motorpoint man Andy Tennant also abandoned the race with illness. Coming past the finish line with seven miles to go, the bunch was all together and appeared to be winding things up for a bunch gallop. However, Oliphant, Newton and de Groot had other ideas. After the gap was established, 36-year-old Newton drove things along to ensure the break’s survival before taking the sprint from the front, frustrating home rider Oliphant. “Second again. 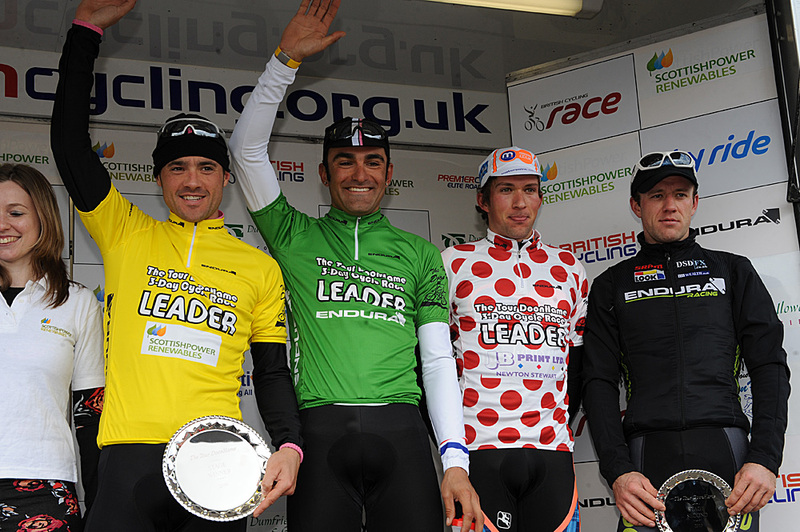 I’ve been second on stages in this race before, but never won a stage,” the Endura rider said. 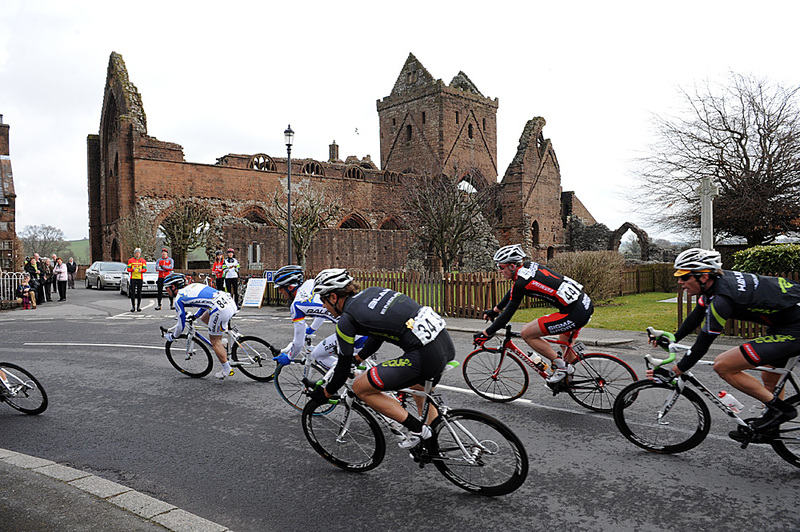 Tomorrow’s stage is the longest of the race, covering 96 miles from Dumfries to Castle Douglas.